Metal braces are the most common type. They are made from high-grade stainless steel. Today's metal braces are smaller, more comfortable and more attractive. 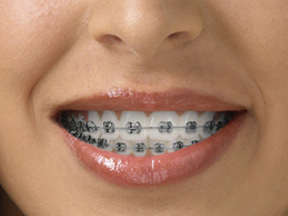 Ceramic braces are made of translucent (clear) material. They are most popular with adult patients, due to their cosmetic appeal. The only drawback to ceramic brackets is that they are more fragile, and the elastic ties can discolor between orthodontic visits. 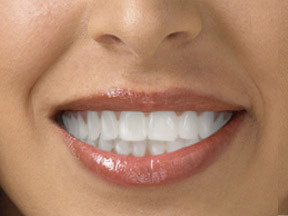 The Invisalign system is a series of clear overlay templates called aligners that have been generated by computer simulation to gradually move the teeth. This system is available to adult patients and some teenagers with certain orthodontic bite problems. Ask us if you are a candidate for the Invisalign system.